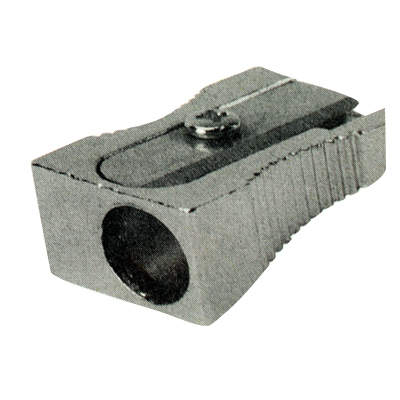 Keep your stationery kits up to top performance with our Aluminium Pencil Sharpener. Made from sturdy and durable metal, this compact sharpener easily brings any single pencil back to its finest point. Ergonomically designed to be gripped by two fingers during use, this sharpener can be used with any pencil while packing away easily in pencil cases or stationery draws. A staple item for any workplace, choose a quality product today. Fulfil all your stationery needs with our Stationery Supplies or grow your Arts and Crafts collection with our wide variety of products available online.